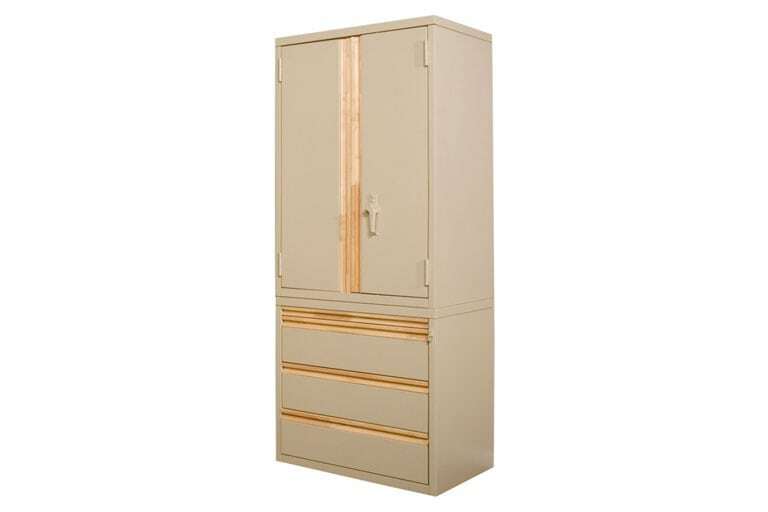 Wardrobe with two lockable full height doors – a fixed shelf – and a clothes rod. 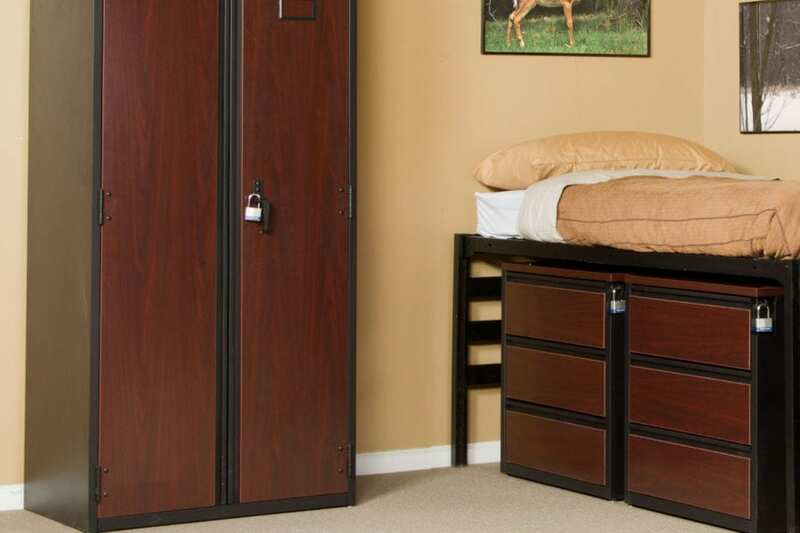 Optimize space for sleep – study and storage with our Tool-less™ Metal series. 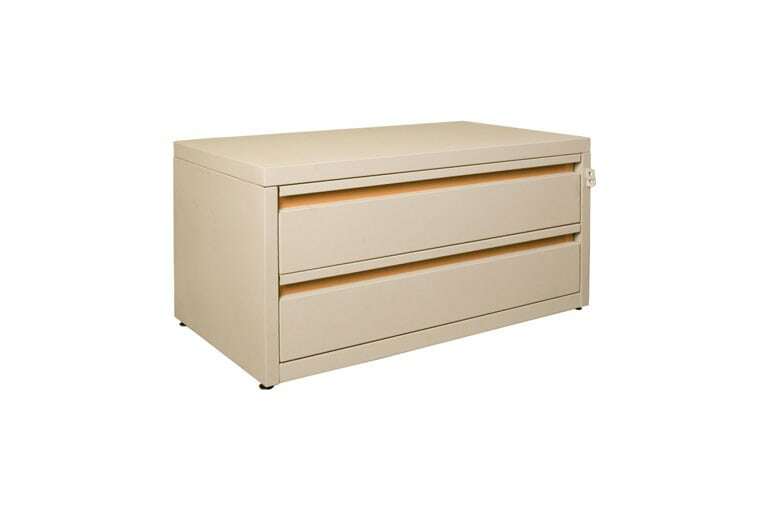 Heavy duty pad lockable latch and metal construction make this furnature secure for your valuables. 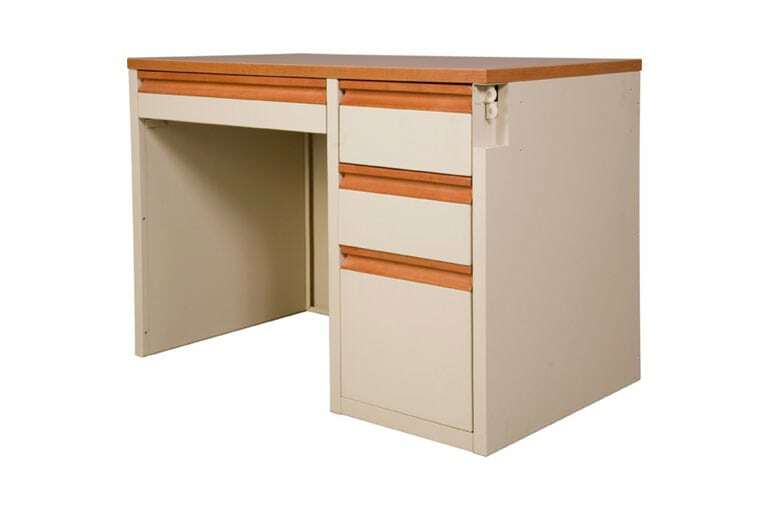 Casegoods feature metal and solid wood construction. 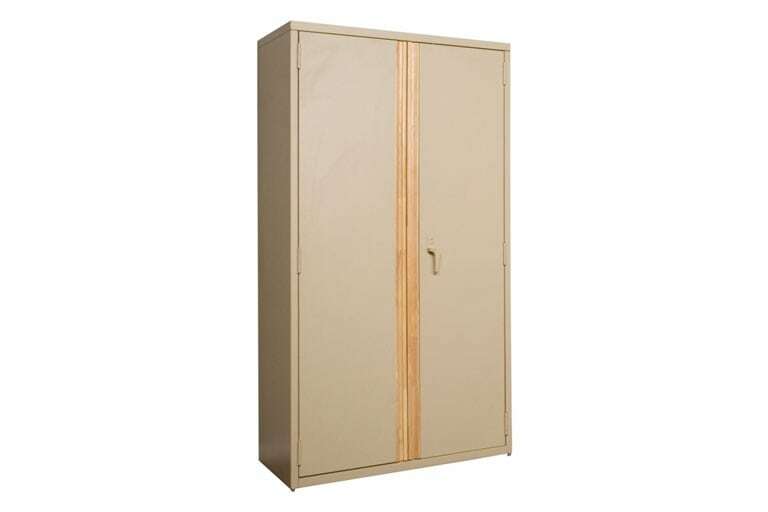 Casegoods are constructed with rivets for easy component replacement.